We’re very excited to be celebrating Easter this weekend, and I thought it would only be right to make some Easter Baskets for the kiddies. 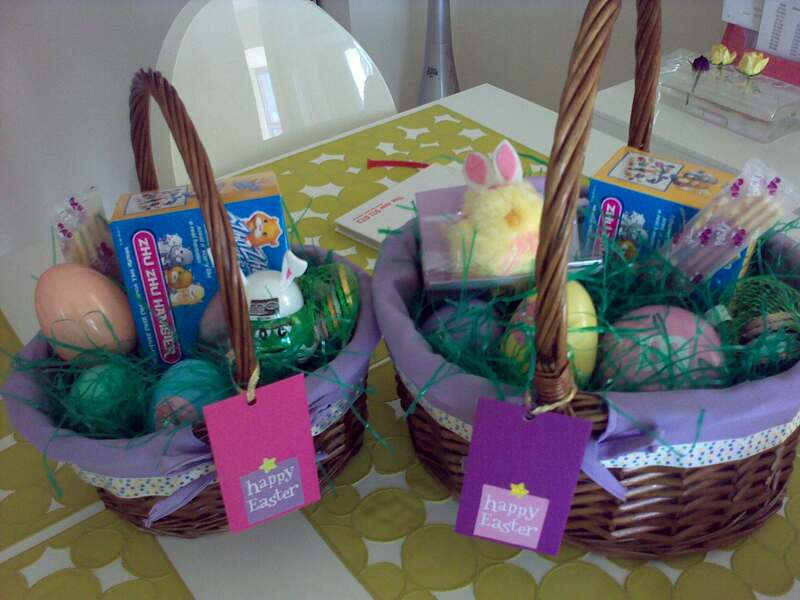 I made 2 Easter baskets for my friends nieces. I know they will be so happy opening up all the goodies inside. 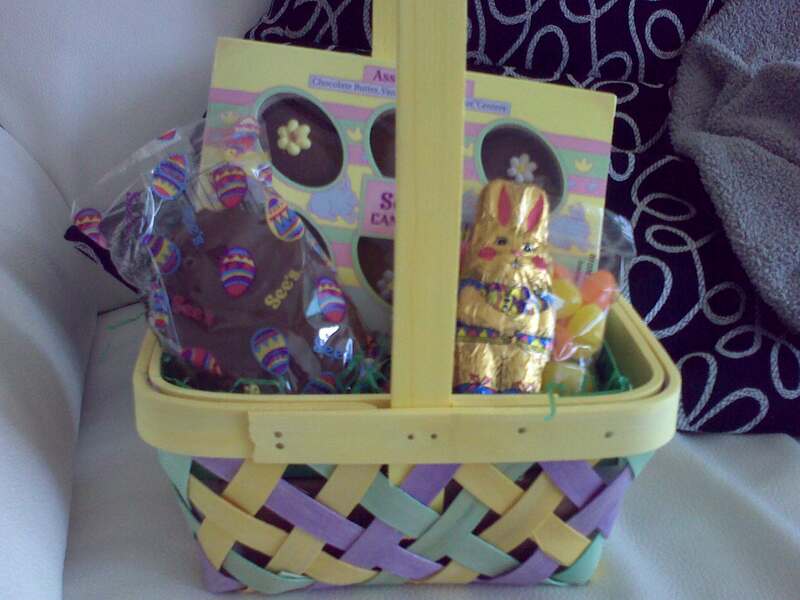 To my surprise, my dear friends Trisha & Paula, gave me an Easter basket today. It’s been a long time since I’ve received such a sweet gift, and I absolutely adore it. Here's the awesome Easter basket from Trisha & Paula. See's candies! These baskets are filled with the super popular Zhu Zhu Pets, Easter eggs, jelly beans, Hersheys chocolate, M&M’s, Hello Kitty photo frame, Easter themed notepad, and a cute little chick. 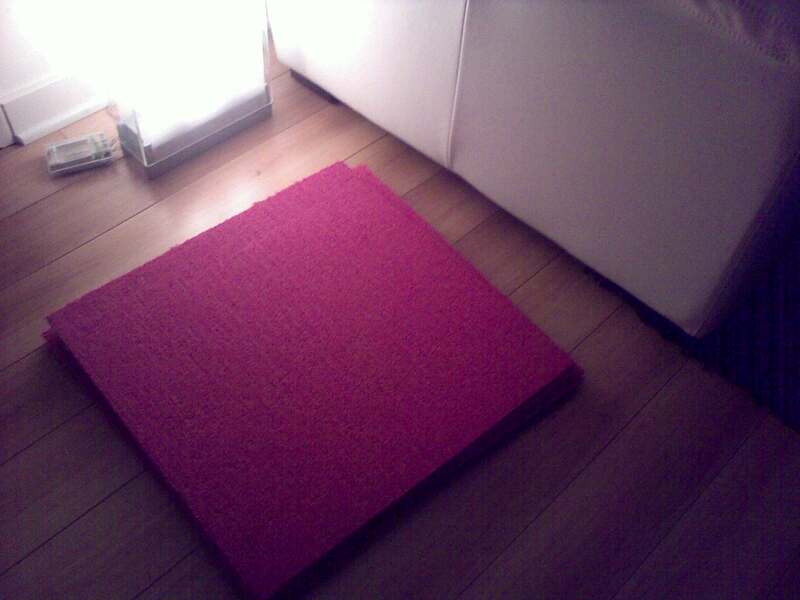 My Pink FLOR tiles just arrived. I’m getting ready for a very special event coming up, and my pink FLOR tiles just arrived. So happy! 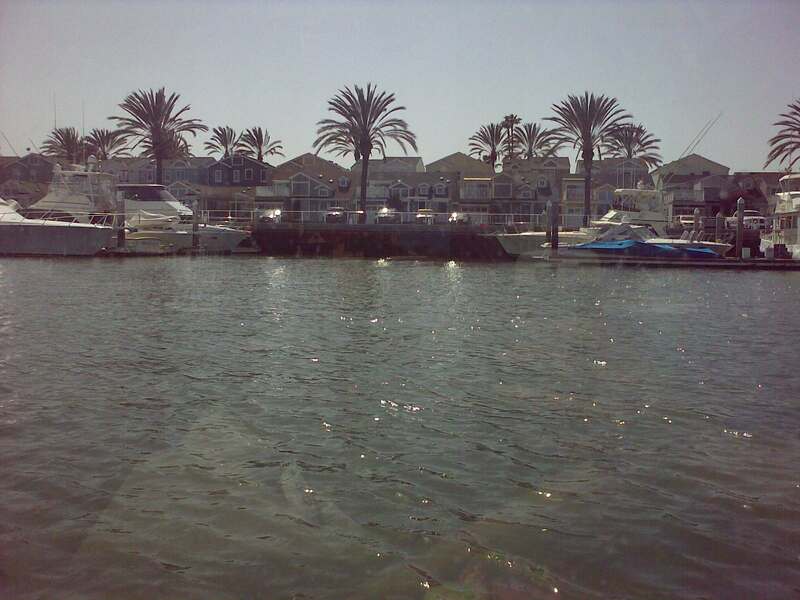 A lovely weekend cruising the Newport Beach Harbor. 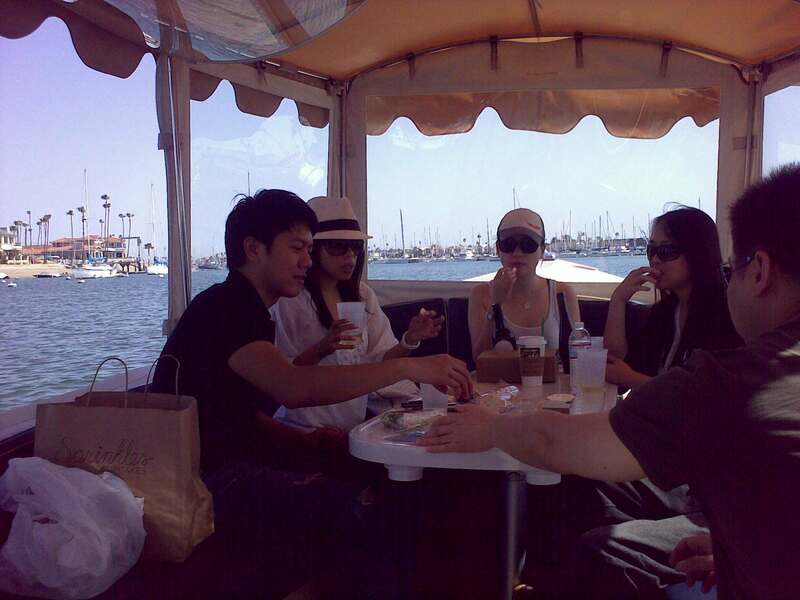 In honor of Irene’s birthday, we were all treated to a lovely cruise around the Newport Harbor. 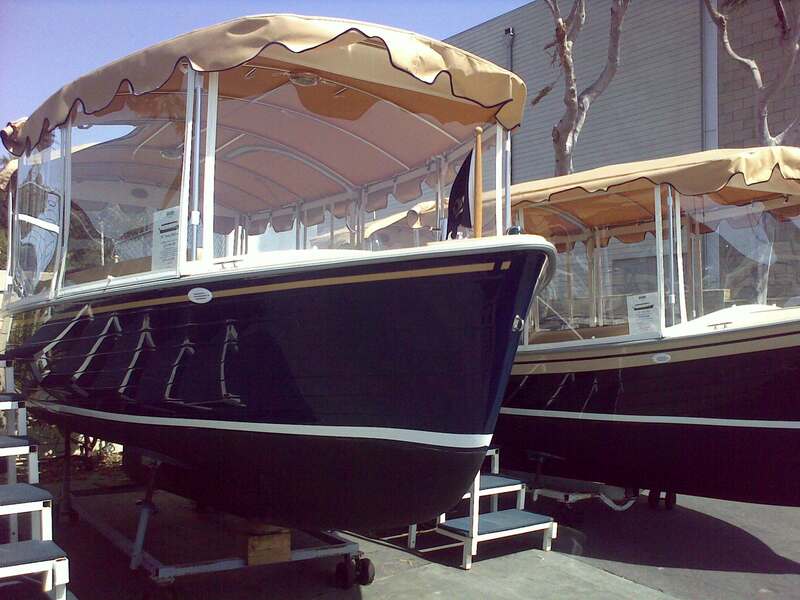 The weather was sunny, warm, and just perfect for cruising the waters in the Duffy. Upon departing from the dock, our captain side swiped the boat next to us. Unfortunately, it was a boat full of older people, so they were pretty shocked. Whoooopsy! When our captain finally got comfortable, we started to do donuts in the boat. hahhaa. Just to let you know, JP was our captain! At one point during our cruise, the coast guard was tailing us. It was probably because we pulled a donut, and didn’t realize they were right behind us. Oh, the joys of cruising and boozing. Not the captain of course! Pretty view from the waiting area @ Duffy rentals. We took one of these bad boys out to sea. Ok, well not all the way out! A quickie field trip to Cho Sun Galbee! 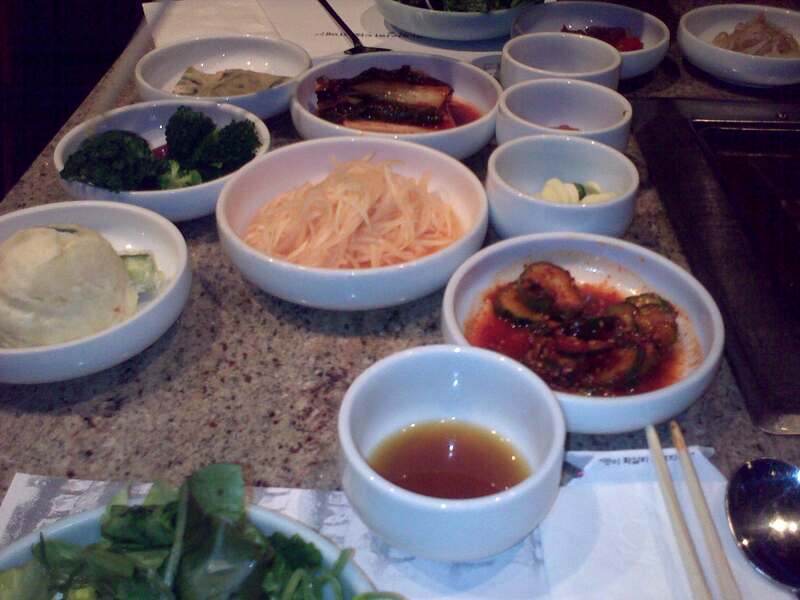 We snuck off to have dinner at Cho Sun Galbee, to get our kbbq fix. As always, I had the Naeng Myun, and JP had Galbee. We ❤ their ban chan’s. Yum! 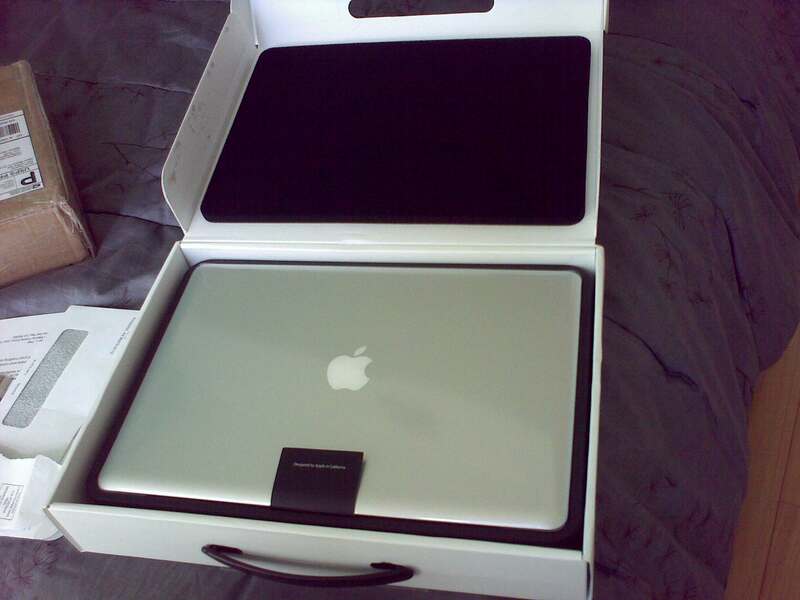 Say hello to this beauty. We’re happy to welcome the MB Pro 15″. Fuego will now have 2 computers to blog from. heheeh. 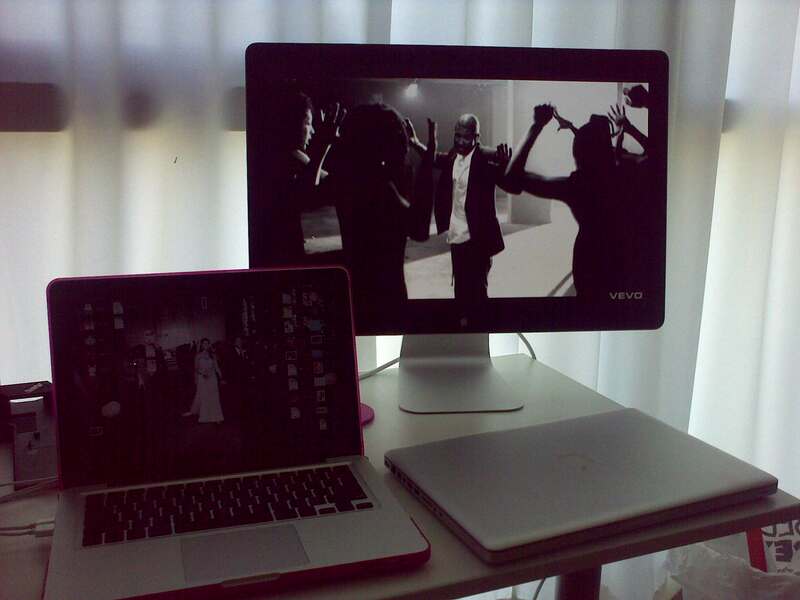 We're one happy Apple family! 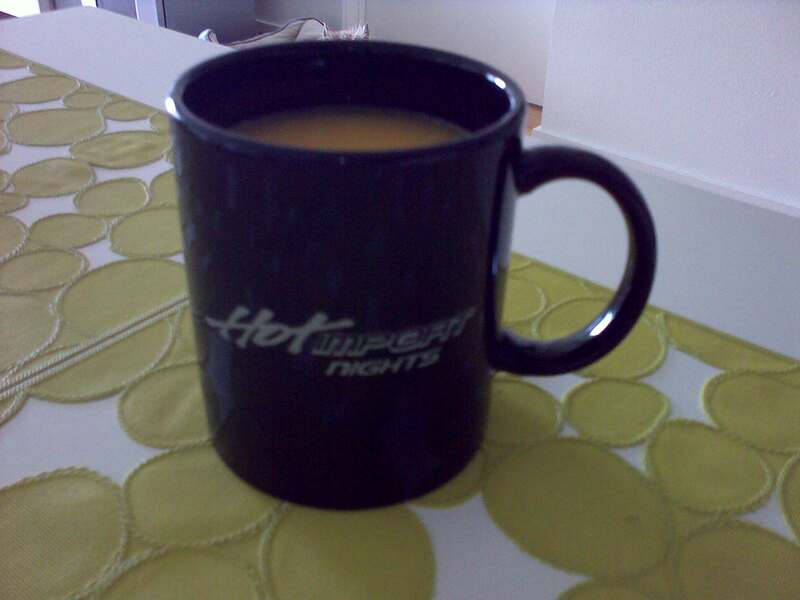 With a cup of fresh juice, in my favorite muggy mug. hahah, that's the super old HIN logo. A lil piece of nostalgia. Fun way to spend a sunny afternoon. Trisha and I hopped on our cruisers and headed towards Santa Monica pier. Along the way, we stopped off at the skate park to check it out. 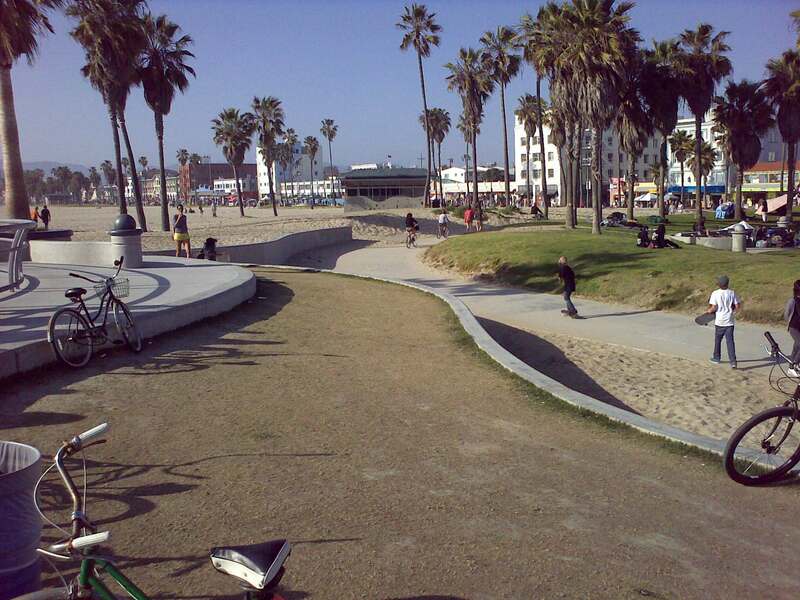 Only in California, would you have a skate park, overlooking the ocean. 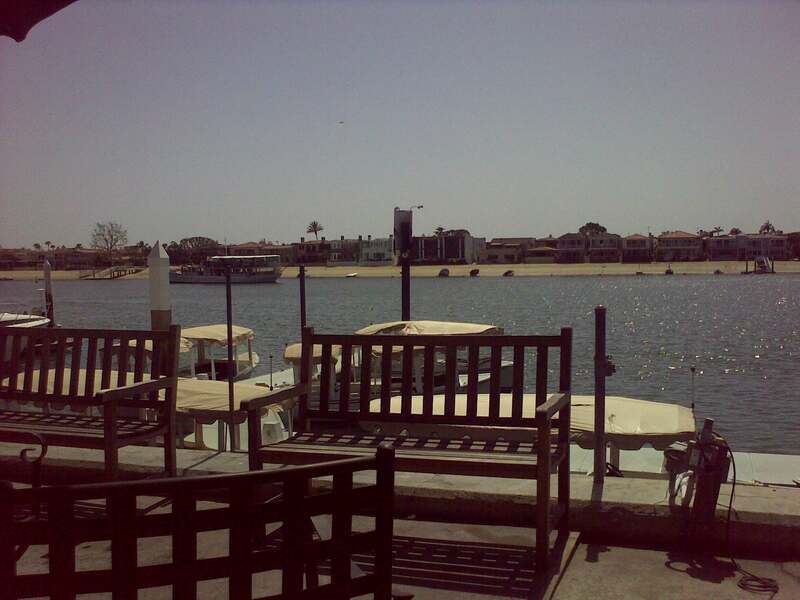 What a gorgeous view! 5 miles to Santa Monica Pier, then 5 miles back home. It was refreshing. Can’t wait for summer! 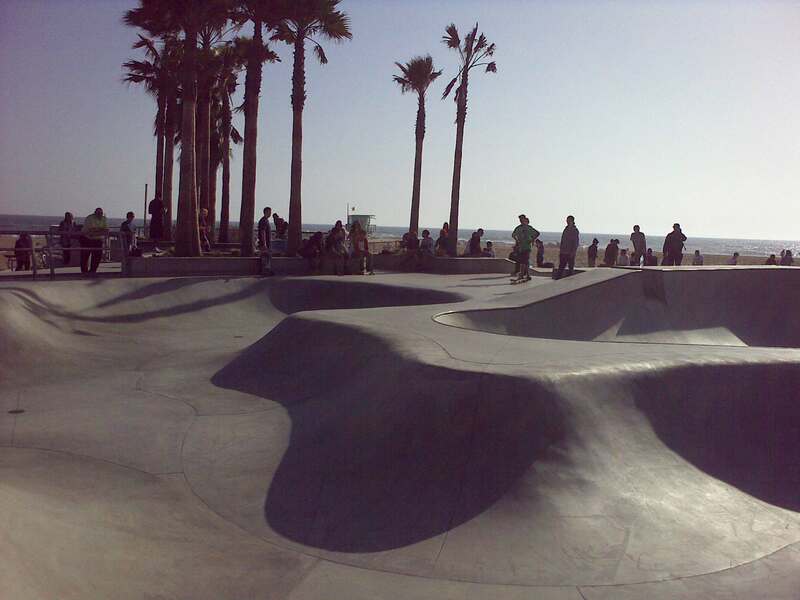 The new skate park @ Venice Beach.